In other news, U.S. Trust shares the names of its latest recruits, and two divorce-focused groups merge. Wells Fargo (WFC) says it recently added five advisors from competing broker-dealers with a total of roughly $485 million in client assets, while Raymond James (RJF) added a Wells Fargo rep with $175 million. 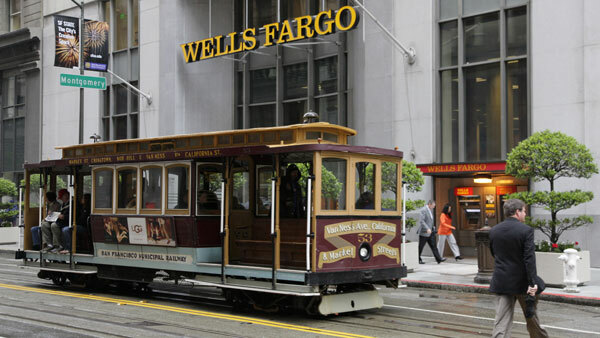 The team of Daniel Avan and Alan Shapiro joined Wells Fargo from Morgan Stanley (MS). The pair has over $199 million in combined client assets and is based in Carlsbad, California, near San Diego. Raymond “Ray” Palmer moved to Wells Fargo from Stifel Nicolaus (SN), where he managed more than $148 million in client assets. He is now working in two branch offices — Town and Country and St. Charles, Missouri. Michael Berlin and Scott Richman left RBC to join Wells Fargo in Philadelphia. The pair has about $138 million of client assets. Meanwhile, Raymond James welcomed James Pohlman, CFP, to its traditional employee channel in St. Louis. Pohlman comes to Raymond James from Wells Fargo, where he previously managed roughly $175 million in client assets and had about $1 million in yearly fees and commissions. Pohlman began his financial services career in 1984 at Edward Jones. He went on to work for A.G. Edwards, which was acquired by Wells Fargo Advisors. “Over the past 30 years, he’s remained committed to his clients and his decision to join Raymond James while looking ahead and planning for the future of his practice is a testament to the flexibility and support of the Raymond James platform,” explained Michael O’Meara, the St. Louis complex manager for Raymond James & Associates, in a press release. Justin A. Reckers, CFP, of Pacific Divorce Management in San Diego is merging his advisory practice into Source Financial Advisors, a New York-based RIA. “I am thrilled to be partnering with Justin – a top divorce financial expert on the West Coast – to combine our efforts to fix the broken business model of divorce,” said Michelle Smith, CEO of Source, in a statement. Before joining Source, Reckers was a director of financial planning at Pacific Wealth Management and CEO of Pacific Divorce Management. Bank of America-owned U.S. Trust (BAC) says it added three private-client advisors and one trust officer from other firms over the past few weeks. Erin Smith joined the West Hartford, Connecticut office from Fiduciary Trust Co. International; Lee Melchionni came to the Boston office from Wasserman Media Group; Blair Ege moved to the Washington, D.C., office from Citi Private Bank; and Dionne Gumbs became a part of the Washington, D.C., office from Fisher Investments. In addition, Jackie Yoon was promoted to market executive in the Saint Louis office, while Robert Gibson joined the Palo Alto, California, office as a private client advisor from Bank of America.